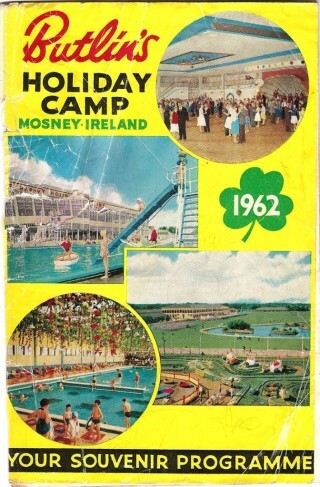 I was once asked the question “Where did ye go on holidays when ye were young? “. A short, to the point question with an even shorter, to the point answer ……….. “We did’nt ! “. In the Skehana of the 1960s with self employed farming being the main source of income, the thought or the mention of going on holiday would be laughed and scoffed at. The turf had to be saved and brought home, the hay had to be saved and work on the farm was even more intense at the holiday time. The farming calendar was a fairly full schedule – a seven day week and at a minimum a fourteen hour day. Holidays were really for other people to come home from England and America to visit us and stay in our houses for a few weeks having emigrated from that same house many years before. Children were often farmed out to aunts and uncles and even slept on the floor to make space for what was often described as “a shower of Yanks home from England”. Indeed, with the older people of the time, anybody living outside of Ireland was a Yank. No more than the time of the Stations, a degree of “doing up the house” took place when we knew that the Yanks were about to come. Of course the good china and cutlery were produced as if it were an everyday thing in the house. The table was fully set for every meal and the food was upgraded a little and desert was added to the dinner menu. We were going to show them that things had improved around here since they left. They, of course , were doing well abroad and life was great in these foreign lands where money was plentiful and “there was gold on the streets” as the song went – I mean look at the suits and dress they were wearing, and the hired out car ! …… they were well off and we were the poor relations. It was only in later years when I began to travel myself and visit them in their homes I realized that they, like us, were putting on the show also when they came home and in many respects we were a lot better off than they ever were but nobody wanted to let the side down. In fact I always feel that this “dis-honesty” was a sad part of life both at home and abroad. On the other hand, a story is told locally about a man who lived alone here and who had a sister who came from England ever year to visit him. She would clean the house from top to bottom while she would be home. After arriving home one year she asked “John, where is the sweeping brush ? ” and got the reply “Jaysus, how would I know. Was’nt it yourself that had it last”. Some of the older people in those times would go for a few days to places like Lisdoonvarna in Clare and Enniscrone in Sligo for the baths and they were supposed to be a source of relief for various ailments. The younger men would have a day out probably at the Galway Races and again on All-Ireland Final Day in Cooke Park to see Galway during their famous three in a row in the early 1960s. In reality the Skehana Annual Holidays of the 1960s was people arriving home rather than the local people leaving to go on holidays. This article is really good. It sounds like holidays gone wrong but very enjoyable reading. This design is spectacular! It really keeps a reader amused. Between your wit and your humour, I was almost moved to start my own site but could I compete ! Well done and a great job, and more than that very well presented. Cool! I really like reading an article that can make me smile and many thanks for permitting me to comment! Thanks for the wonderful article. It is great to get that kind of information in such a simple, honest manner of writing. I’m always looking out for honest, on the ground, local stories and history.